Like a gourmet dish, it’s not just the ingredients that make it nutritious and delicious. It’s the quality of the ingredients, the ratio of ingredients, the preparation and the training of the chef that matter. It’s the same with skincare, and we here at Kigelia Shop are industry experts in selecting quality skincare ingredients, getting the concentrations just right, and consistently producing a safe, highly effective skincare product. Sausage Tree Cream is the only all natural botanical product designed to prevent and heal skin conditions. It works for adults and teens for men and women and is a safe alternative to dangerous pharmaceutical medications and chemicals. It may be used by individuals with different complexions (from the very light to dark) and does not require sun exposure restrictions. It is suitable for all skin types. Sausage Tree Cream has been successful in alleviating acne, psoriasis, eczema, age spots, wrinkles and sun damage. None of the herbal ingredients in Sausage Tree Cream are listed by the US FDA and EU EMEA as dangerous, forbidden or questionable. None of the ingredients are considered endangered species. Sausage Tree Fruit (Kigelia Africana) is an herbal remedy derived from the dried fruit of Kigelia Africana in South Africa. According to clinical research Kigelia Africana is a powerful anti-inflammatory and stimulates the natural healing processes of skin. 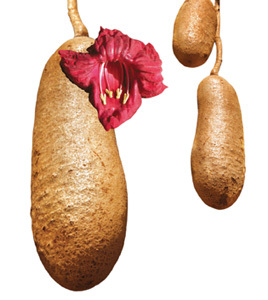 Kigelia Africana has also shown evidence of improving the firmness and elasticity of skin by between 50% and 70%. Kigelia Africana is being investigated for use in treating skin cancer. Aloe Vera (Aloe Indica Royle) is a tropical plant well known for its healing properties and beneficial effects on skin conditions. Aloe Vera relieves pain and stimulates the production of white bloods cells (backbone of the immune system). Aloe also contains a slippery, slimy constituent known as a demulcent, which means it has a soothing effect. 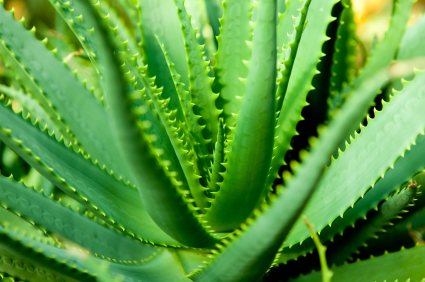 Aloe is being investigated in treating a variety of cancers and certain blood diseases. Lavender Oil (Lavandula Angustifolia) is well known for its pleasant appearance and aroma. Lavender has been used medicinally for centuries; one common use of lavender is in washing. In fact the Latin word for washing, lavandar, comes from the word for lavender. Lavender works as an astringent. Astringents are substances that cause tissue to contract. Lavender is therefore used to reducing swelling and to protect pores. Tea Tree Oil (Melaleuca Alternifolia) is a native Australian plant whose leaves were traditionally used as a substitute for tea. The aboriginals of Australia used it for its curative properties and in 1923 it was proven to be a potent germicide, fungicide and antibiotic. Upon the discovery of oral antibiotics like penicillin the use of Tea Tree fell out of favor but in the 1990s a series of studies provided evidence for its topical use and it quickly became incorporated into many cosmetic and skincare products. Research has shown it to be an equally effective treatment for acne as benzoyl peroxide but with fewer side effects and considerably less skin irritation. Sausage Tree Cream is free of any animal products, by-products and derivatives. Sausage Tree Cream is 100% organic, plant based and free of manmade chemicals. All plants used in the formulation of Sausage Tree Cream are of the highest quality and tested for the presence of heavy metals, residual pesticides and xenotoxic chemicals. The identity and quality of the starting herbs are qualified by a pharmacognacist. Sausage Tree Cream has been extensively tested and proven safe in clinical trials. The ingredients present in Sausage Tree Cream have been tested extensively at concentrations significantly exceeding ours and have been shown to be safe with no signs of toxicity. In addition, none of the herbal ingredients present in the Sausage Tree Cream formula have been cited on the list of dangerous herbs compiled by the FDA, or the MCA (UK) nor on the lists of herbs known to cause dangerous side effects. The herbs used to make Sausage Tree Cream are not present on the endangered species list. The SAME botanical ingredients DO NOT ALWAYS RESULT in the SAME PRODUCT or the SAME PROPERTIES and BENEFITS of the product. Like in production of wine the same grapes may lead to the product that justifies price of $5.99 and $159.00 per one litter bottle, efficacy, and safety of botanicals too depend on the selection of ingredients and manufacturing process. For example – in the composition of Sausage Tree Cream if the ratio of the ingredients is incorrect skin conditions may actually aggravate skin. The source and quality of the ingredients is also important. Similar to the well-known fact that the same type of grapes grown in France, California and Australia have different properties and provide for a different wine also herbs grown in different parts of the world and under different conditions may have different chemical properties. Finally, a part of the plant that is actually used in the process and the extraction process itself are also very important. Whether the plant is extracted with water or organic solvents greatly changes what active ingredients you will have in your preparation. Obviously the ratio (proportion) of ingredients is crucial to the product efficacy and is a result of regimental and lengthy clinical studies and also protected by trade secret.